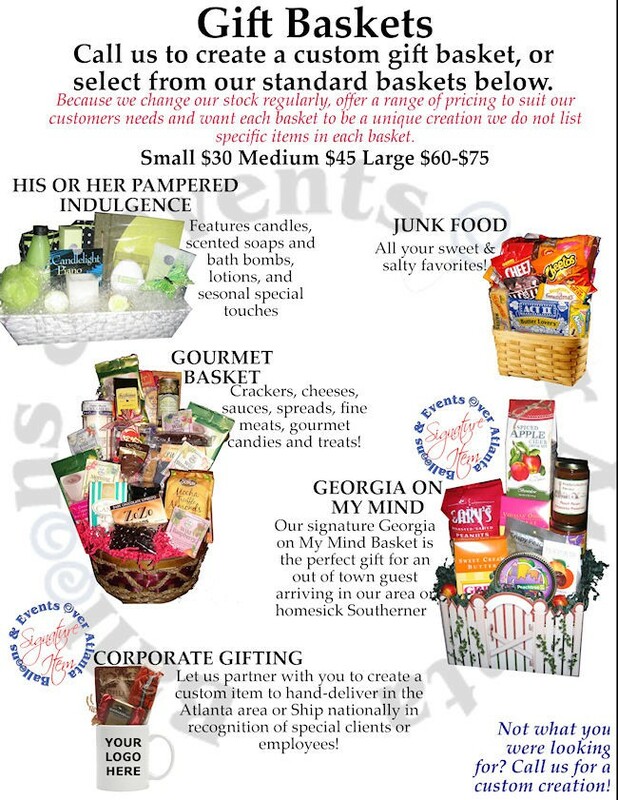 Balloons Over Atlanta offers gift baskets in addition to Balloon Bouquet delivery for any special occasion. Check out our standard baskets or make a special request for a custom creation that is a unique gift from you! Balloons Over Atlanta also packages corporate swag and gifts and offers hand delivery service or coordinated nationwide ship out. 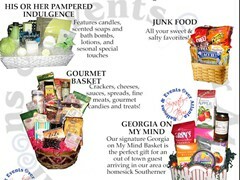 Our gift baskets are available nationwide.